NVIDIA has officially launched their latest GeForce GTX 965M mobility chip powered by the Maxwell GM204 core architecture. The GeForce GTX 965M which is powering a range of new gaming laptops showcases at CES 2015 such as the MSI GE62 and Aorus X5 notebook features half the CUDA Cores of a desktop class GeForce GTX 980 graphics card. 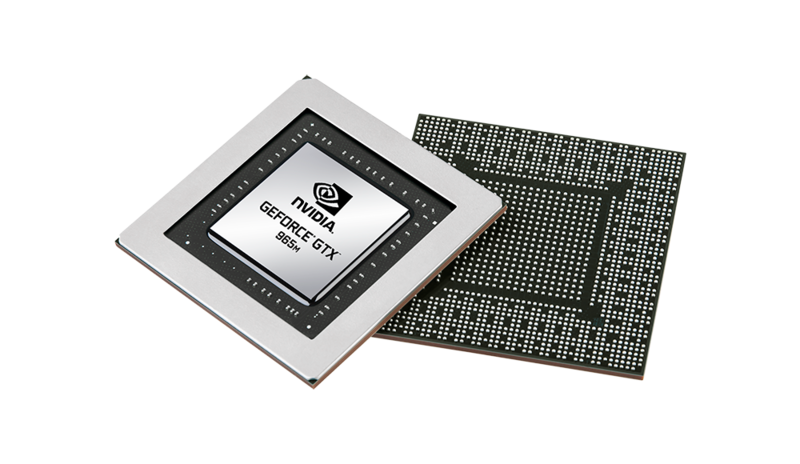 NVIDIA has previously launched two Maxwell based GeForce 900 mobility chips which include the GeForce GTX 980M and GeForce GTX 970M. While none of these chips feature the full fledge GM204 configuration like the GTX 980 to conserve power on the mobility products, they do come with similar level of desktop class features and performance. 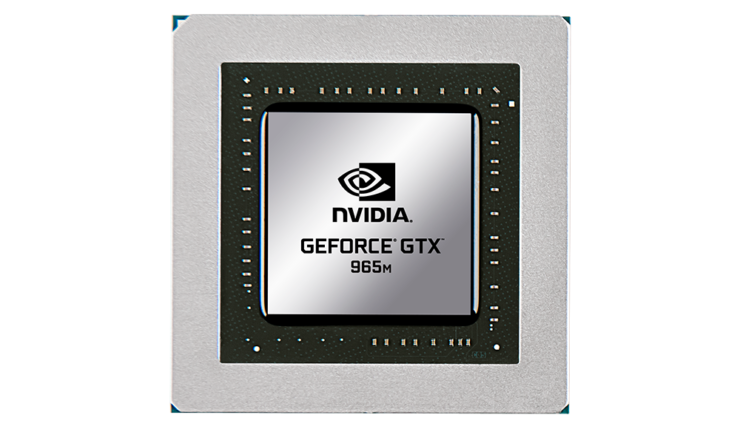 The NVIDIA GeForce GTX 965M which is another GM204 powered graphics chip also comes with technologies such as GPU Boost 2.0, PhysX, Optimus 2.0, Battery Boost, VXGI, MFAA, 4K DSR, bandwidth conservative color compression and DirectX 11.2/12 API support. On the specifications front, we are looking at a significantly cut down GM204 chip. 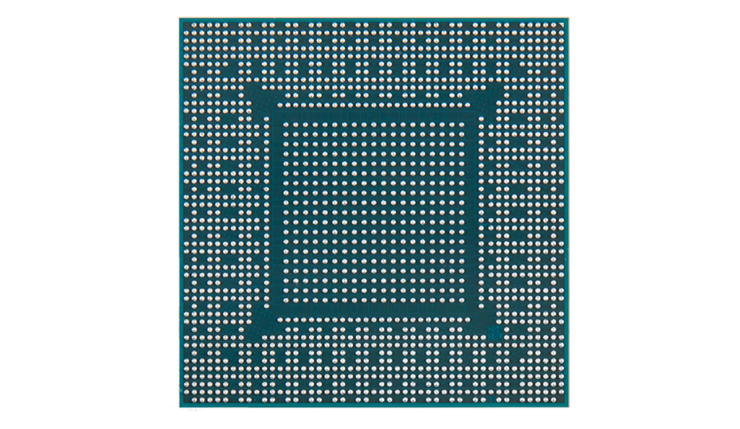 The reason this chip is part of the GM204 SKUs is because the die shot being shown by NVIDIA at their GeForce website is larger than the GM206 die shot we got to see yesterday, hence the GM206’s mobility chip will launch as the GeForce GTX 960 and GTX 950M sometime this year. Moving forward, we are looking at 1024 cores that are half of what we get on the GeForce GTX 980 (2048 CUDA Cores). With just 8 SMM units on board the GM204 configuration, their are 32 ROPs and 64 TMUs included on the GeForce GTX 965M as per arranged inside the GM204’s graphics processing cluster. The chip is clocked at 944 MHz + Boost clock. The memory includes 2-4 GB GDDR5 VRAM configurations across products that feature the GeForce GTX 965M chip. However due to its cut down nature, the chip comes with a 128-bit memory bus which is lower compared to each chip that came before it. The GTX 980M comes with a 256-bit memory bus while the GTX 970M comes with a 192-bit memory bus. The upcoming GeForce GTX 960 which is going to feature the GM206 chip comes with a 128-bit bus too. As for clock speeds, the memory is clocked at 2500 MHz and pumps 80 GB/s bandwidth. Additionally, the chip comes with 4K eDP 1.2 Support and H.264 video controller.